Up until a couple years ago, quinoa was relatively unheard of. It certainly wasn’t something my family ate when I was growing up and I rarely ran across it on restaurant menus, cookbooks or online. And then, seemingly out of nowhere, quinoa seemed to explode onto the food scene. Suddenly, quinoa is everywhere. It’s actually been on a gradual rise in popularity over the past several years and now this trendy pseudograin has found a place with the cool kids, right next to cupcakes and macarons. Despite it’s relatively new popularity, there’s actually nothing new about quinoa. On the contrary, it was once considered a sacred food source of the ancient Incas. And with good reason. Quinoa is high in protein and unique in the realm of vegetable proteins for its notable lysine content. Containing all eight essential amino acids, quinoa is considered to be a complete protein, which is especially attractive for people looking to get their protein from non-meat sources. It’s also high in fiber, vitamins, and minerals, gluten-free, wheat-free, and easily digestible. It’s truly a nutritional superfood. A few years ago, after reading an article touting the awesomeness of quinoa, I ran to the store, bought myself a bag and prepared it with dried fruits and a bit of honey for breakfast. To be honest, I was less than thrilled with the result and hadn’t prepared it since; until yesterday, that is. Inspired by the request of a friend, I decided to give it another try. This time, I went with a savory preparation, incorporating some of my favorite flavors; sun-dried tomatoes, garlic, and goat cheese. I stuffed all of this delicious goodness into a baby eggplant and the result was phenomenal. Seriously delicious! 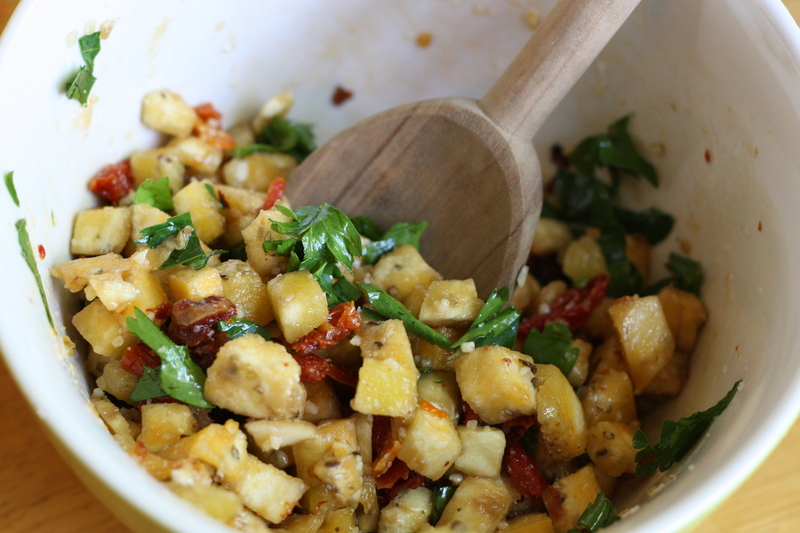 Have it for lunch or make it as a side dish for dinner. You’ll be happy you did. Now, be careful to pronounce it correctly when talking to your friends about your new favorite quinoa recipe. Though, by appearance and common convention, you may assume it’s pronounced ‘Kin-O-ah’, the correct pronunciation is actually ‘KEEN-wah’. It takes me a forced effort to remember this fact. My mind thinks ‘Kin-O-ah’, while I force my mouth to say ‘KEEN-wah’. In fact, if someone started talking to me about ‘KEEN-wah’, it would probably take me a good minute before I figured out what they were talking about. It goes against my natural instincts, but ‘KEEN-wah’ it is. 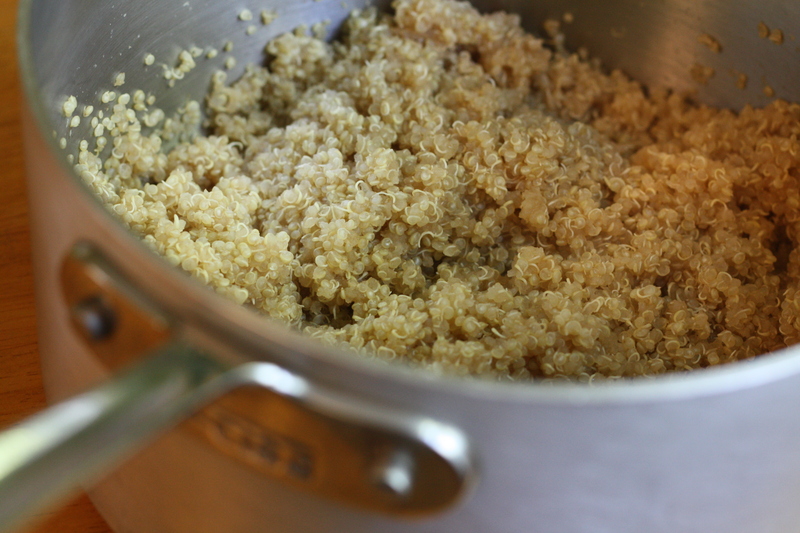 Place quinoa and vegetable stock in a saucepan. Bring to a boil. Stir. Reduce the heat to low, cover, and gently simmer for 15 minutes, until the liquid is absorbed. Remove from heat. Keep covered and allow it to rest for 5 minutes. Gently fluff with a fork. Meanwhile, cut the eggplants in half lengthwise. Use a knife to cut around the edges being careful not to cut through the skin. Leave about a 1/4 inch remaining around the edges. Use a spoon to scoop out the middle. Once the quinoa is cooked, gently toss it with the eggplant mixture. 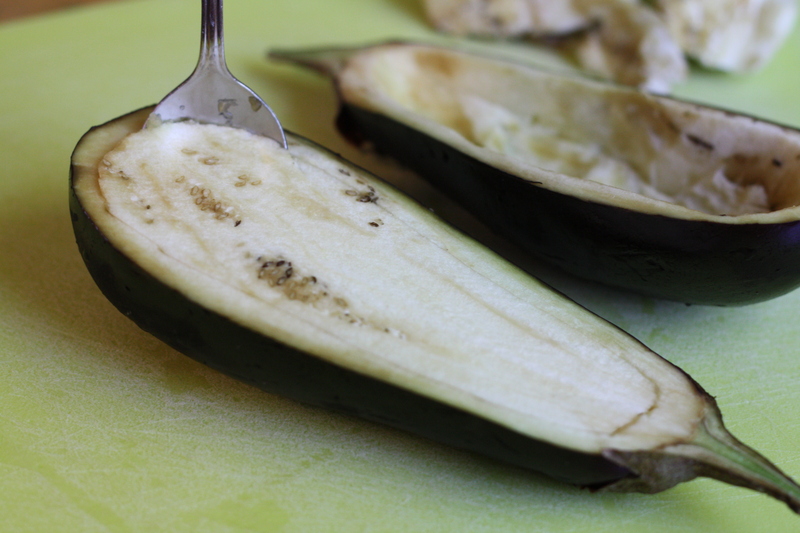 Rub the outside of the eggplant skins with a small amount of olive oil, then place on a baking sheet. Generously stuff each skin with the quinoa mixture. Bake for 35-40 minutes. 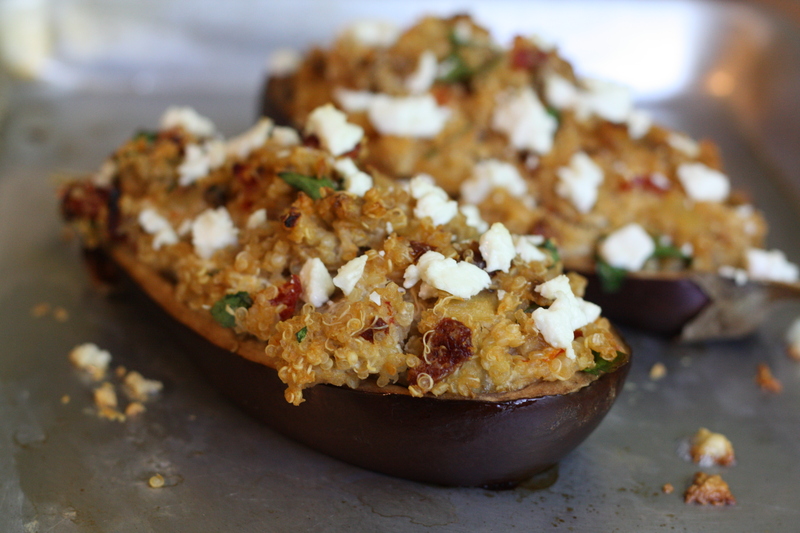 Sprinkle the remaining goat cheese crumbles on top of each eggplant during the last 10 minutes of cooking. Posted in Appetizers, Cheese, Food, Main Course, Recipes, Side Dishes, Vegetable and tagged cheese, Cooking, easy dinner, Food, Recipes, vegetables. Bookmark the permalink. This sounds absolutely AMAZING. I think bright, clean flavors (love quinoa, by the way…especially like your pronunciation description) and it is AWESOME for those vegetarians that eat cheese. I may try this with a balsamic reduction swirled with a little honey and drizzled right over the top. This recipe sounds delicious! I’m always looking for new ways to try quinoa. It’s a hard sell for my family (although I do like it). I have it for breakfast with Greek yogurt, and sweeten it with maple syrup (an all natural sugar!). Can’t wait to try this recipe. thanks! I’ve never stuffed eggplant before. What a great idea! Especially love that you’ve used quinoa. Eggplant has such a meaty flavou and the quinoa would back it up with real protein punch. I can attest personally to the deliciousness of this recipe. Aside from personally preferring black quinoa’s texture, this is by far the best quinoa preparation I’ve eaten. What a fabulous recipe – great way to use quinoa, which I have yet to cook – it is not available on it’s own here in Mauritius – only as a mix with other goodies. I am looking forward to trying it when we get home next month. Love this recipe! This is a great idea! 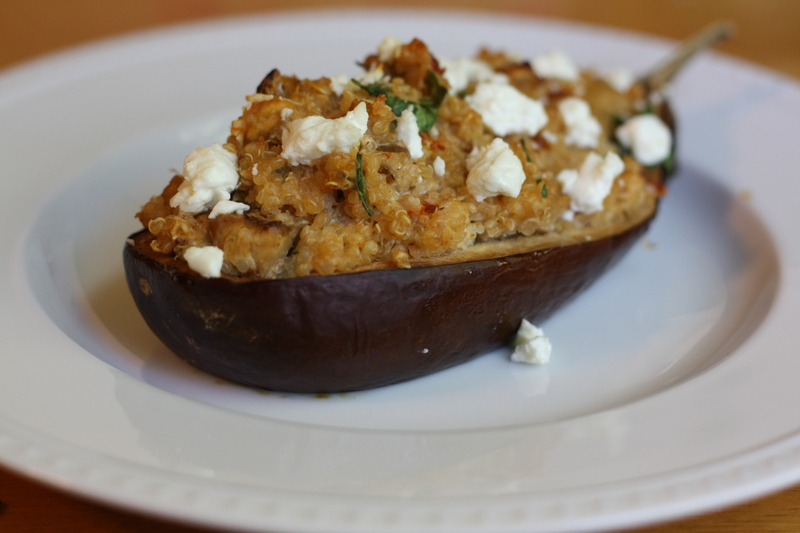 I have never tried Quinoa but i think i will love it stuffed in eggplant! I can eat anything that has eggplant 🙂 it’s my favorite vegetable ( i say that about a lot of vegetables! lol! 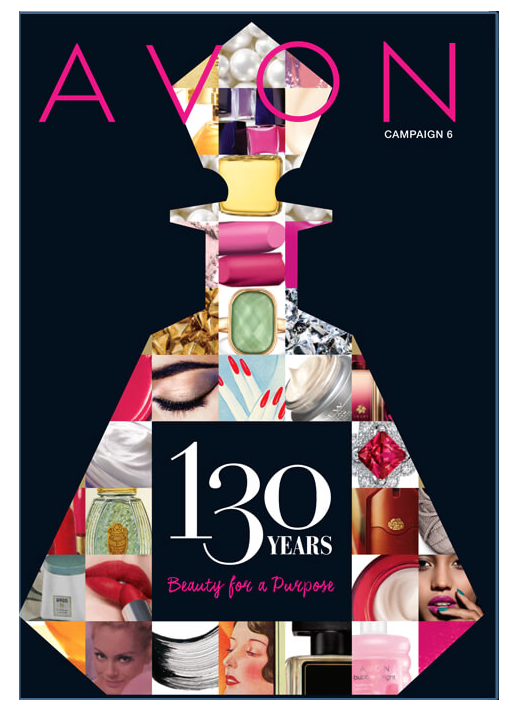 This looks and sounds soo fantastic… it is full of so many of my favorites! I’m glad you gave quinoa another chance! I made several subsititutions (feta for goat cheese, fresh for sun-dried tomatoes, dried for fresh parsley, and some sort of split pea added to the quinoa to make the full 3/4 cups) despite all of these, it still tasted great. I can’t wait to make it again with all ingredients on-hand. Thanks for posting this.